Ms. Bourdet graduated from Central Michigan University in 2007 with a Bachelor of Arts in Broadcasting. She earned her Juris Doctor from Loyola University School of Law in 2013. Ms. Bourdet was admitted to the Illinois bar in 2014. 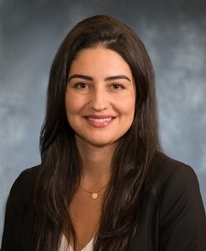 Sarah Bourdet is a litigation associate of Lipe Lyons Murphy Nahrstadt & Pontikis Ltd. who focuses her practice on the defense of premises liability, construction liability, transportation liability, and product liability claims. Prior to joining Lipe Lyons, Ms. Bourdet represented clients in creditors' rights claims, collection matters, social security disability claims and appeals.